We are up against a brick wall, re: my husband’s grandfather, Joseph Putkowski. There’s no one around anymore to fill in his history, prior to the day he married his American Polish wife in February 1916, in Orange County, NY. Joseph was born on March 5, 1892 or 1894, depending on which online record one looks at. Family lore says he left Poland (the Russian partition) ~ age 17 or 18, to avoid conscription into the Tsar’s army. He supposedly arrived at Ellis Island some time between 1908 and 1910. ***If this is the case — that he was escaping conscription — how could he have gotten out of Russian Poland??? Would he have needed a false ID to leave??? Family lore has also been that, “the Jews helped him get out.” We still haven’t figured out what this means. Apparently he lived not far from Bialystok. Joseph’s family were blacksmiths and of lower economic status. They lived ~ 60 miles from Warsaw (family lore) and might have been from a town near Ciechanówiec. He supposedly first went to Pennsylvania to work in the coal mines, disliked the work, and found his way to Pine Island, NY, to work for a prosperous onion farmer...and married the farmer’s daughter, Mary Andryshak. We’ve been told that his parents & siblings were later killed by the Nazis. We don’t have their names or specific towns. I’ve found a lot of his records, starting from the day he got married. But can’t find a single bit of information prior to that date. Have been trying to trace my husband's Polish grandfather for two years. So far, no luck. I took the liberty to check these birthdates in Ciechanowiec. Not found. Here is the Marriage certificate from Orange county NY. his mother's name was Mary Klepacka. Family Search shows a copy of his marriage return (cf. 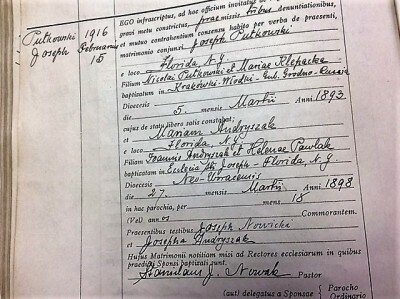 Attachment) and shows his parents as Nicholas (Mikołaj) and Mary nee Klepacka. 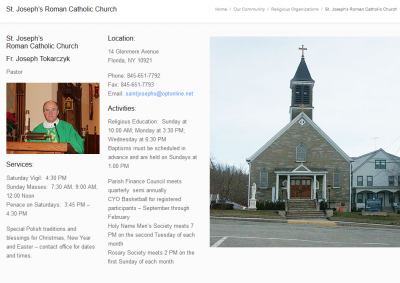 The Polish parish in Florida, Orange County, NY was St. Joseph’s (cf. Attachment). 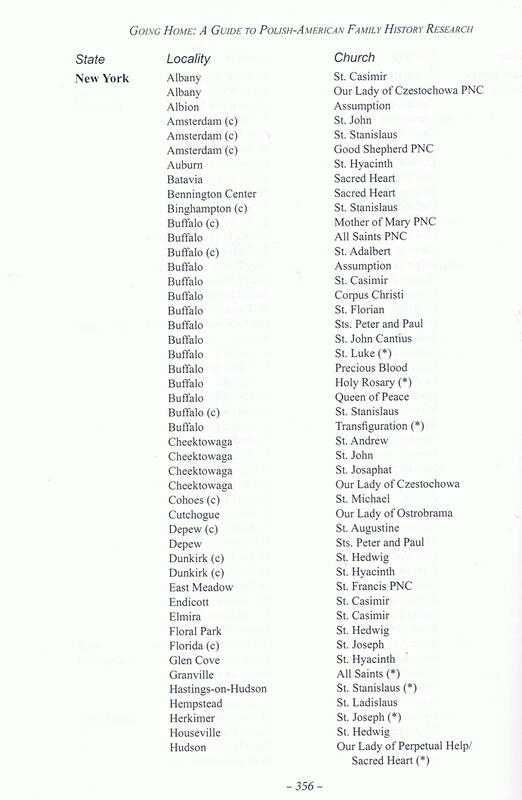 The parish contact info is found in the attached screenshot. My suggestion would be to contact the parish and request a photocopy of the entry in the marriage register, not a marriage certificate. The entry in the register usually contains info which would not appear on a certificate and that info could prove valuable for your research. That would be a good starting point for giving direction to your research in Europe. There were a number of ways to leave Russian Poland to avoid conscription but probably the one thing they all have in common is that it was most likely necessary to cross into German Poland in order to reach a port of embarkation. Without proof of having completed military service going east to a Russian port such as Libau (Libaw) or Riga would not have been a viable option. Thank you, All, for such quick replies! I've already obtained all of the records from Ancestry and FamilySearch that have been mentioned above for Joseph Putkowski. I've also tried searching using wildcards, tried many spellings of the name Putkowski -- without any progress. I've also tried searching for his mother, Mary/Marianna Klepacki -- but it seems to be a somewhat common name and I was going in circles. However, I did request and quickly received a copy of Joseph's church marriage record from St. Joseph's church in Florida, NY, which is attached. If I'm interpreting it correctly, it states he was baptized in the village of Krakówki-Włodki, in Gub-Grodno, Russia. But I don't think it provides the parish name. It also gives a birth-date of March 5, 1893 (not 1892 or 1894). His parents' names are there. 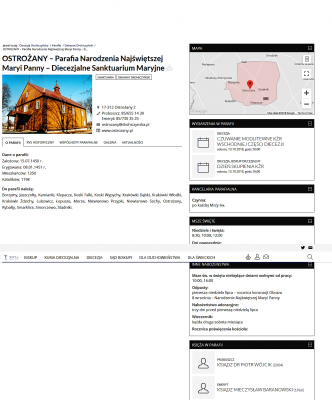 I just looked up Krakówki-Włodki online -- it's in the vicinity of Bialystok (if what I found is correct), which makes sense. Some of my husband's cousins remember something about him having lived near "Bialystoka." We're especially interested in who Joseph's siblings were and what happened to them. My late father-in-law had told us that information had been relayed from Poland to his father (Joseph), many years ago, about his brothers having been executed by the Gestapo. For us, it's as if they never existed, because we have no records. Any thoughts, suggestions will be greatly appreciated!!! You are reading the entry correctly but the info in the marriage register is not completely accurate. He was born in Krakówki Włodki, but not baptized there. That village belongs to the parish of Ostrożany, which is where he would have been baptized. On Geneteka the only indexed records for that parish are marriages from 1661 to 1667. The parish is under the patronage of the Nativity of the BVM. Attached is the contact info for the parish, which does have an email address. Another inaccuracy in the marriage record is that the pastor of St. Joseph’s signs off on having sent notification of the marriage to the parishes of the bride and the groom. He probably did not send notification to Europe since he didn’t have the name of the parish of baptism. He may have entered the info in the parish baptismal register since the bride was baptized in St. Joseph’s. 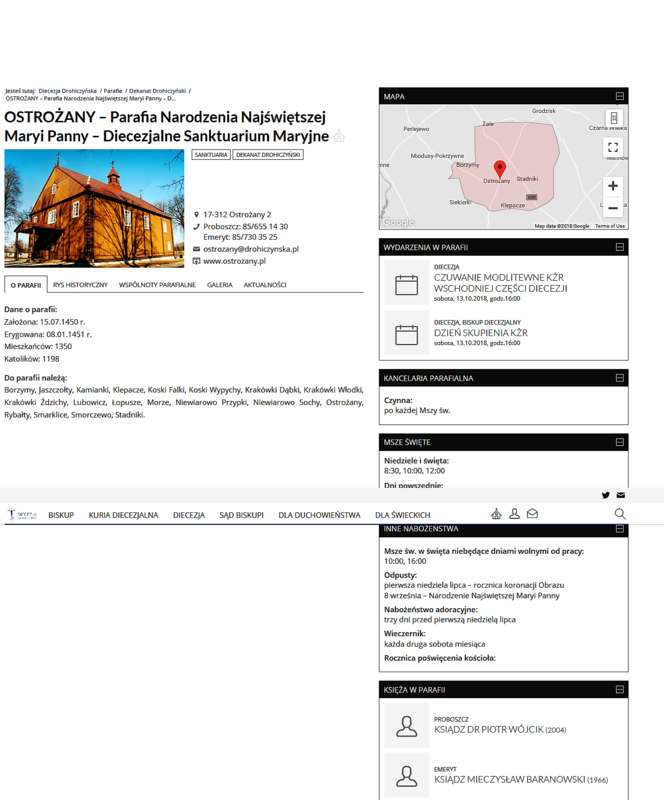 It appears that the way to find more info would be to contact the parish in Ostrożany. This is a very interesting subject! Family lore has it that my paternal grandfather was about to be conscripted into the Austrian army, precipitating his dash to America in 1904. I have often wondered if there is any way to find any records that might shed light. He was born Bzdziuch, but emigrated through Hamburg under the name Gwizdowski (he was born in the town of Gwizdow.) Was the name assumed to cover his identity, or did he simply feel the name Gwizdowski sounded more "upper-crust"? Thank you, Dave. You've provided some very interesting information. I'll send an email inquiry to the Ostrazany parish and will report back here. I guess the email will have to be in Polish? Fingers crossed that they reply in English!